This is very good product. However it requires a great deal of persistence and patience to get to use it effectively due to a particularly very poorly produced instruction manual. Had I not also owned a DR5 for many years I would more than probably have given up. Thank goodness for help from YouTube and the web. Not easy - but really good. 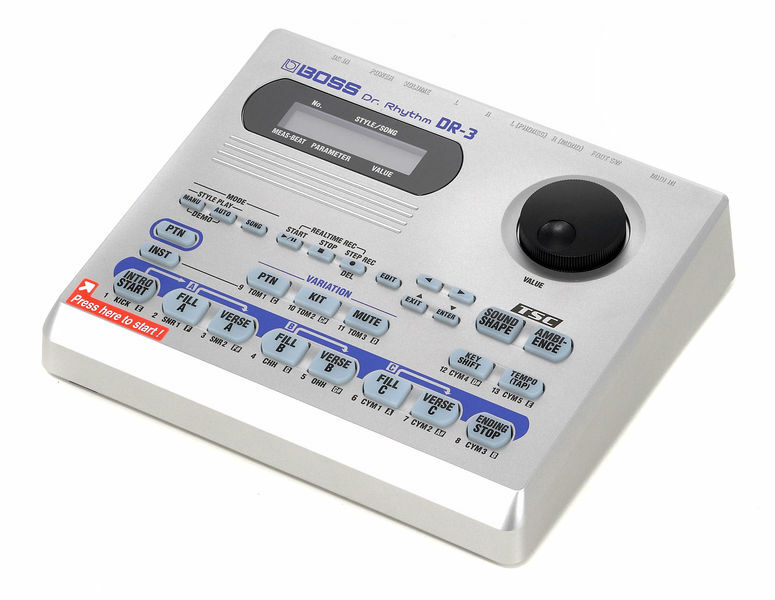 The Boss DR-3 is a really good alternative. Unpacking - Connecting - Getting Started: Unfortunately, this is not easy. And it does not take care when I get too fast. But after a week of experimenting and I am enthusiastic. Which can be played without further processing, but a huge kit of patterns, from which one his own accompaniment composes, then one the spit away. The memory does not disappear when the batteries are replaced. PowerPlant [brumm .- u. Noise-free]. With Boss FS-6 dual switch, you can: "Start", click well through the variations of its patterns and "Quit". The accompaniment is very lively by changing the patterns and the corresponding fills. Really good: next to the "drum line" you can get three !!! "Bass lines" and has also a useful bass accompaniment, which can be easily transposed. - the technical possibilities are wrong. - controllable via foot switch. - the plastic part does not look noble. - the positive impression has solidified. - a useful rhythm is going to be fixed. ID: 160350 © 1996–2019 Thomann GmbH Thomann loves you, because you rock!